Nobody cheats death. A warrior haunted by his past, Salim Ghadafar serves as a problem-solver for a church he hates, bound by the goddess of death to hunt down those who would rob her of her due. 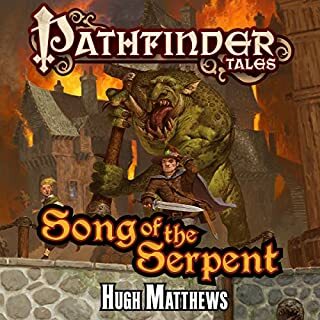 Such is the case in the desert nation of Thuvia, where a powerful merchant on the verge of achieving eternal youth via a magical elixir is mysteriously murdered, his soul kidnapped somewhere along its path to the afterlife. The only clue is a magical ransom note, offering to trade the merchant's successful resurrection for his dose of the fabled potion. But who would have the power to steal a soul from the boneyard of Death herself? 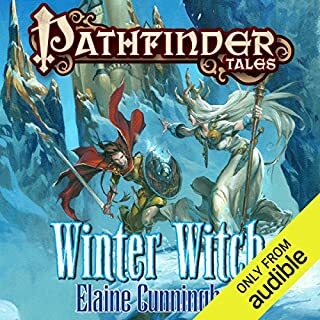 ©2011 Paizo Publishing, LLC (P)2015 Audible, Inc. This book was amazing. A+ for Ray's narration too. 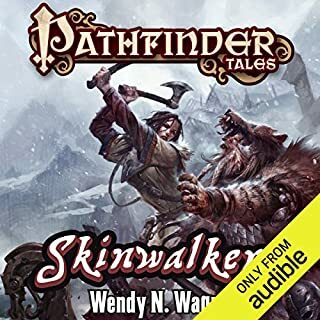 These pathfinder tales books are just brilliant. I didn't think anyone could do the same job as Dave Gross but James Sutter has proven me wrong. The story has everything, the telling of it is up there with the likes of Raymond E. Feist. First understand that I am a fan of pathfinder and personally run the game myself. That said this tale set in the world of Golarion is both enjoyable and surprising. It tours the planes of Golarion while framed by a murder mystery with a magical twist. If there is any problem that I can see with it is that a male voicing the various female parts in the story is sometimes off putting but it by no means a deal breaker. 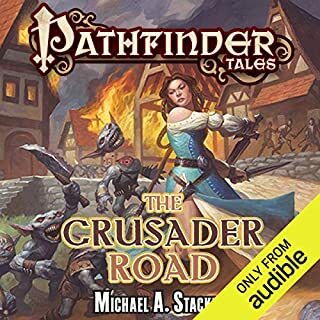 Looking forward to other Pathfinder Tales. On the surface, we've seen this story a million times before. A person strikes a desperate bargain that swears them into the reluctant service of a powerful being. The things that makes this story interesting is the nature of the being that holds his oath, and the use that Pharasma makes of Salim. The pace of the story is usually desperate, and the locations are fantastic. It really does a great job mixing Mystery with Adventure, keeping the mind whirling to solve the problem, while also feeling that you're going on a journey. It seemed that my commute always ended right when they were about to do a big reveal in the story and I wanted to see what was going to happen when I got back in the car. My issues with this story come largely from the writing style itself. The profanity conflicts so drastically with the tone the rest of the book that it jars you loose from the immersion. Additionally, every now and again, we get a chapter that could have been omitted with no loss to the story (the First World tangent being a really good example). I feel like the story very easily could have demonstrated those within the bounds of the conflict that already existed, rather than creating a new appendage to the story. The fight choreography gets pretty silly at times as well, with a single fighter making three to four moves to another fighter's one. On the whole, the story is very engaging and fascinating. The performance of Ray Porter is very impressive, lending gravity to the story and personality to the characters. It reminded me of the voice acting in the first Assassin's Creed game, which (at least from my perspective) was a pretty impressive cultural work. I'd recommend this to any fans of casual mystery or the world of Golarian. For fans of swashbuckling action or hard boiled detective novels, this probably isn't a good fit, as the fights are pretty brief and one sided and the mystery is kind of obvious and let out of the bag comparatively early. 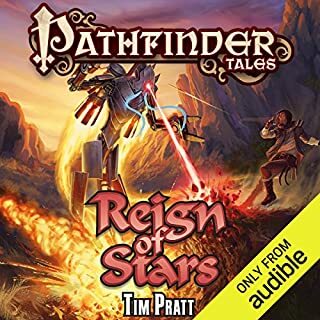 This book briefly turned up on Audible's bestsellers list, they were offering it free for a few days, I assume to introduce the line of Pathfinder Tales based on a role-playing game. I am not now nor have I ever been the least interested in RPG--I am mystified as to how they even operate. But the book's description looked interesting and, hey, for free? Why not. 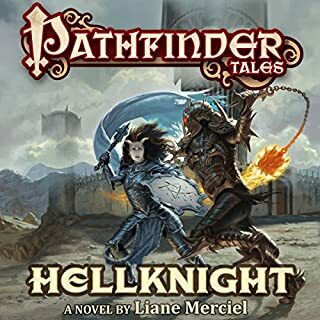 Without knowing how it fits into the "Pathfinder" cosmos, I can say I enjoyed this as a standalone adventure about a warrior priest forced to serve the goddess of death, making sure she is not cheated of the souls that are her due. 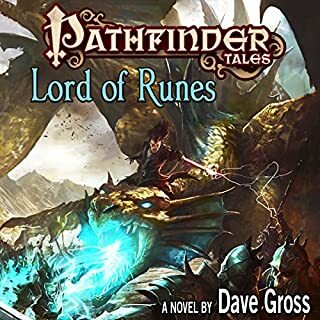 The characters -- hero, heroine, villain, creatures, and "constructs" -- are nothing unique and the story is fairly predictable, but it moves along, has some philosophy lite, and is well performed by Ray Porter. 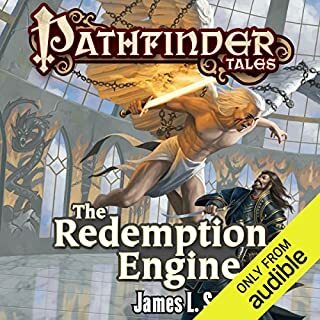 There is a second volume of Salime's adventures ("Redemption Engine"), and I'm tempted to burn a credit on it, so Audible's ploy may have worked :-) James Sutter is the overall editor of the Pathfinder Tales franchise and a good, solid fantasy writer. The books, by a variety of different authors and narrators, each appear to work by themselves, no need to commit to a 30-volume cycle. Tragedy it's only one book, not an entire series. The only flaw is that there's too much world creation for this to simply be just one tale. Salim truly needs his own actual series. Imagine if there was only one Harry Dresden book ever written, but with all the other characters mentioned. There's so much backdrop and potential characters to easily create a 10 or even 15-part story. Amazing characters could easily have their own short stories and spin offs. If a bit short on the action for long stretches. Good narration. Nicely developed characters. This tale adds depth to an already richand immersive world set in the Pathfinder rpg universe. This is a fun ride whether you are a fan or not. An amazing and colorful world! I don't normally review things online. If I end up liking something I think that the money I spent on the product is payment enough. But I'd like to say that this book was fantastic, the performance was brilliant, and everyone should know it! If you love to be fully immersed in a fantasy world, then get this book. I do think that you do yourself a disservice if you don't continue on with "The Redemption Engine" once you're done, because I may have liked the followup even more. There were times when even my cold black nerd heart (which crumbles as it beats) felt genuine emotion. I hope that the author plans on bringing Salim back for another installation. I'm listening Les this story a lot, the lead character had a great background and interesting plot. The narrator was one of the best I've heard, he really made every sentence a joy. this was a great story. loved every minute of it. the reader was superb. he had a new voice for every character. I like that a lot. thank you for a great experience. 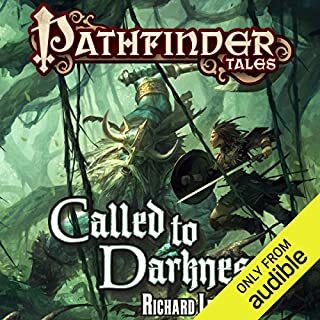 tried this because paizo offered it for free and I've enjoyed the books. This reader was fabulous, all different voices made it easy to tell who was speaking and to follow the action. I'll definitely be looking up more that he has read. 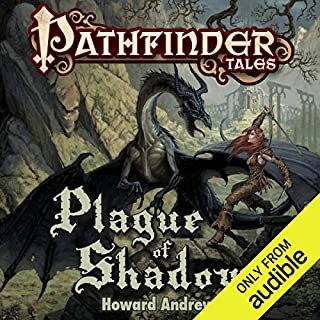 as for the Pathfinder tales, they are a fun way to experience the world when you don't have a game going. excellent book. narration top notch. story somewhat predictable but very entertaining. Never has an afterlife been so entertaining and interesting. Very Pathfinder oriented and if you game in the world it will help you with background. Give pathfinder the benefit of the doubt. 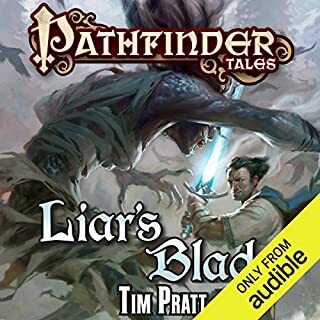 Giving a pathfinder novel the benefit of doubt was probably a great thing to do. 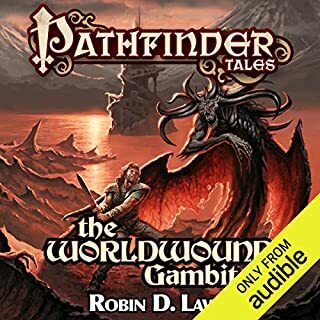 I cannot comment on any other novels from the series, however, this being my first pathfinder novel I was really impressed. 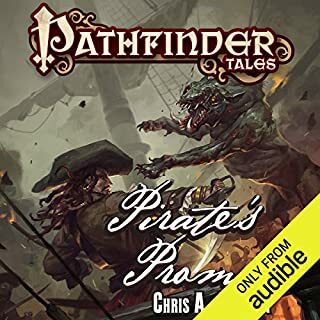 The story was well woven on various facets, and the plot bounced around between characters which was good writing, the story shines through as the adventurers actually travel in the imagination of the writer and everything in the narration is well paced, clear and engaging to the ears. 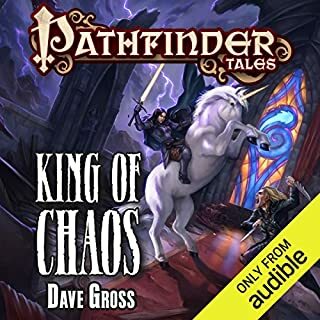 So yes, although I am a D&D and forgotten realms fan, the pathfinder novels, thanks to James L.Sutter and Ray Porter have definitely pricked my ears. Interesting story, with likeable protagonists. but the voice actor was IMHO simply phenomenal. A huge range of voices and it really enabled the whole story . Just bought the next book by this pair. 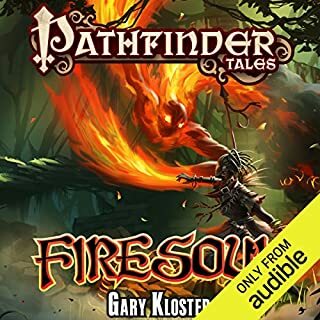 This is the first audible story I have listened to and I thought the narrator did an excellent job in telling the story and projecting the voices of the different characters. 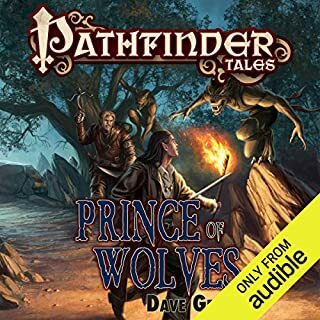 You need a good imagination to see these creatures spoke about in the book and I don't think I could have read the book myself being dyslexic but enjoyed the story so thank you audible. Picked this up for free and finally got round to listening having gone through everything else in the library. The story is essentially a murder-mystery with a twist - the twist being a kidnapped soul in a fantasy world. Having listened/read a number of fantasy stories in my time I was able to keep up with the ever changing surroundings - the alternate realms, variety of creatures and magical encounters. The story fails to build the world as well as many others and if spending a credit I'd point to the likes of Brandon Sanderson to get a better bang for your buck. Having said that the story is entertaining enough and the performance is genuinely excellent. If you see if on a Daily Deal or for free then grab it. What made the experience of listening to Death's Heretic the most enjoyable? 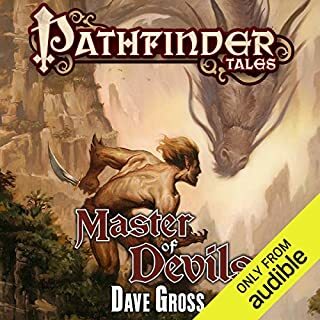 The narrator, Ray Porter, is absolutely outstanding. He brings a myriad of characters to life with an impressive range of voices. 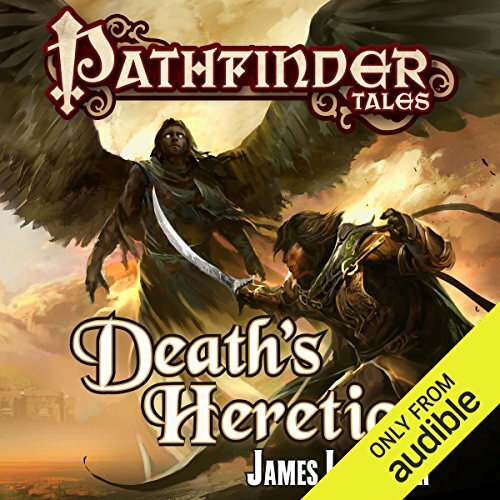 What other book might you compare Death's Heretic to, and why? Quite similar to some Warhammer stories. Understandable given both of their gaming roots. As I mentioned an excellent narrator ranging from neutral exposition to energetic side characters. Better than I thought. Very enjoyable. The story takes us across the plains and the portrayal of magi and magical abilities was great. 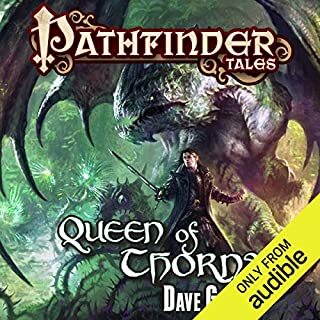 This was a great fantasy audiobook with both believeable characters and an interesting storyline. The narrator delivered the book in an engaging manner, without being too enthusiastic as to detract from the plot. Despite there being only one voice actor, both male and female characters were ably delivered and the book flowed effortlessly along. I wasn't sure what to expect from this book, but I was pleasantly surprised and will look out for other books in this series.